UPDATE: This restaurant is now CLOSED. This is my second review of TomTon, and it won't be the last one. While their service might not be the best in town, their food never leaves me unsatisfied. Their Hokkaido seasonal menu was actually one of the most amazing Japanese meals I had in Singapore, considering its freshness, authenticity, uniqueness and price. Do ask for their seasonal menu at your next visit, as they don't seem to consistently remember to provide it as you sit at your table. 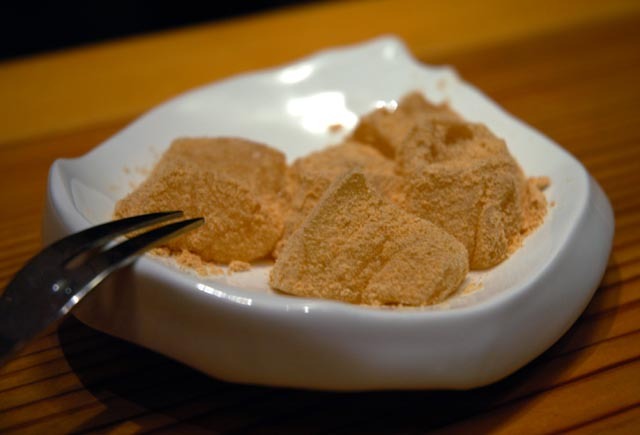 I highly recommend you to rush for this opportunity to taste some of Hokkaido's flavours. This was, together with the ice cream (see later in my review), the most touching dish. I had plenty of homemade tofu's in Singapore, bot none of them was nearly as good as the freshly made one I had in the Japanese countryside. This is the first time that a fresh tofu recalled those flavours. 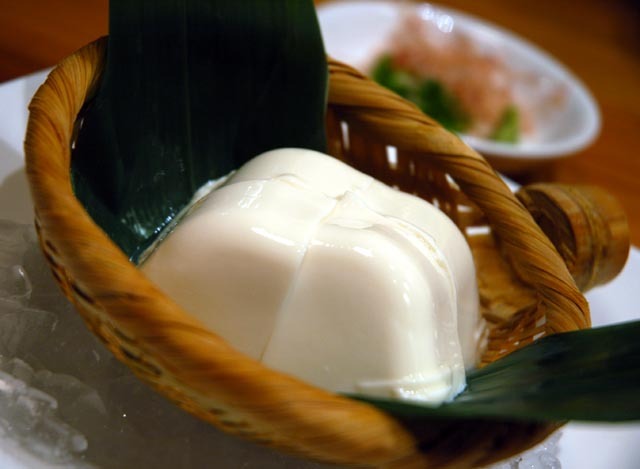 This 'cold fresh tofu' ($8) from Hokkaido is just the most amazing cold tofu you can have in Singapore. It's like having an in-between of ricotta cheese and mascarpone, melting in your mouth, except there's no fat and you can have as much as you like without feeling stuffed. 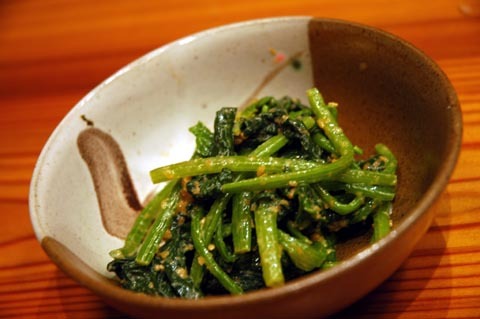 The 'goma horenso ae' (spinach with Sesame dressing - $5.00) was cooked just right, and the homemade sauce, full of coarsely ground sesame seeds, tasted very authentic. Most restaurants in town serve this dish with industrial, bought-in sauce. 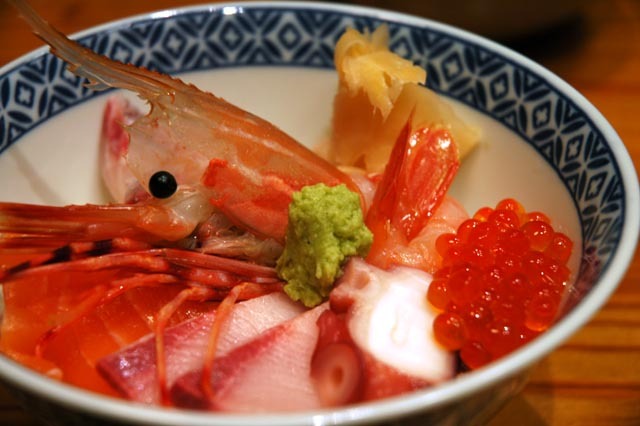 The 'ebi botan kaisen don' ($29.80) isn't cheap, but Botanebi isn't either. If you like sashimi, this dish is worth every penny. I would have preferred it in a real 'donburi' version (plain rice) rather than the 'chirashi' version that they served instead (with sushi rice). Still, the selection of fish and seafood is fresh and 'Hokkaido' style (botanebi, scallop, crab, salmon roe, yellow tail, salmon, octopus). This gourmet version of 'hiyashi chuka' ($16.80) was very slurpy. I have always considered this an 'emergency' dish, the kind of thing that you make at home when you have some spare ingredients and no chance to go out to do your shopping. You can boil your ramen and combine them with ham, cucumber, omelet and whatever else you have. This 100% Hokkaido ramen with yuzu koshou was as good as this dish can get. The quality of the ramen was superb, cooked 'al dente' (as we say in Italy) which is something most restaurants wouldn't get right. 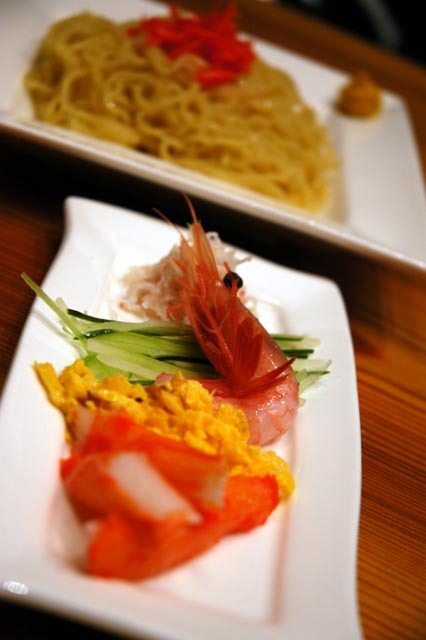 The succulent prawn, juicy crab meat crunchy cucumber and firm soba were accompanied by the classic sauce and an optional pungent yuzu koshou and mustard. The 'grilled tachiuo' ($18.80) was slightly overpriced, but a good variation to the usual grilled dishes available in most Japanese restaurants. 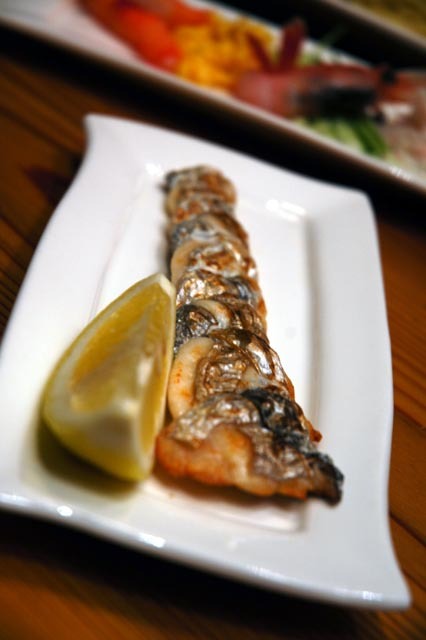 The fish was de-boned, sliced lengthwise, tied into a twist and grilled both sides. 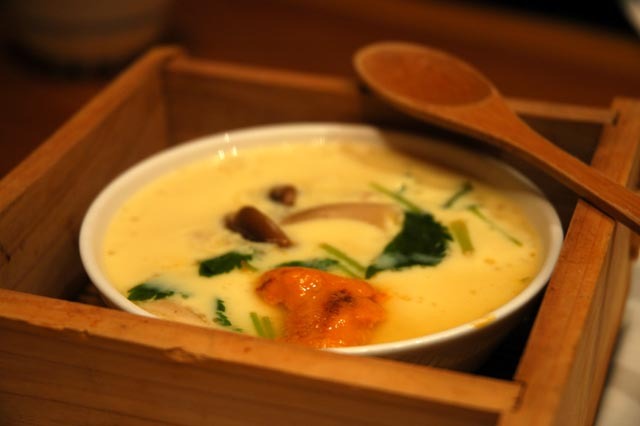 The 'Uni chawan mushi' ($10) is an Hokkaido variation to this classic Japanese favourite. The uni was extremely sweet and chunks of shrimps added a little interest to the dish: digging to find the next one, which might be your last. Finally, the highlight of this meal. The 'avocado salad ice cream' ($5.30) was probably the most deliciously innovative dessert I've had in years. The interesting texture, rich in lumpy bits of avocado and seedy bits I could not identify, was enriched by an intense olive oil aroma. 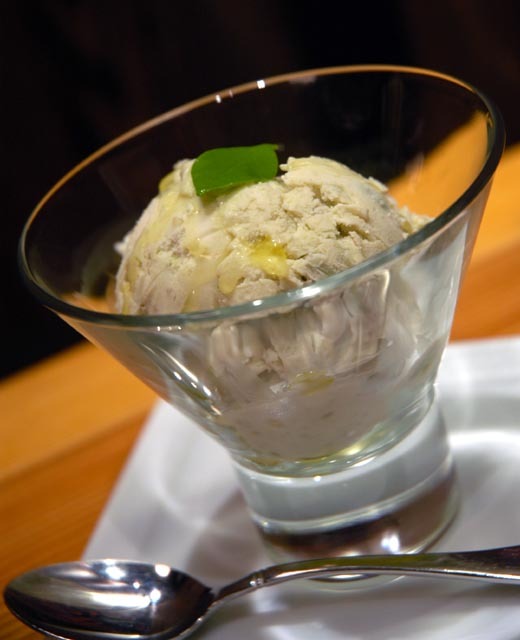 I would have never imagined olive oil would work with ice cream. You have to try to believe! Luckily, this dish is on their regular menu so you will be able to taste it even after the Hokkaido season, but it's not consistently available, as they are only able to make it when they can get hold of ripe enough avocados. Hopefully you will be lucky enough to get the opportunity to try this unique delicacy. Their 'Warabi mochi' ($5.80) is as good as the one I had in Kyoto. Coated by dusty kinako powder, and extremely soft. If you have never tried this dessert before, you might think it's like a typical 'mochi' rice cake. However, it is significantly different in texture and flavour and it's a must try especially if you are looking for something light to end your meal with. TomTon is one of those rare restaurants that make a clear effort to deliver authentic Japanese food going beyond the usual, obvious selection of dishes that you find in most Japanese restaurants in Singapore. Their quality is top-notch, and their prices extremely reasonable. This meal was priced at $125.55. They also have an incentive card that gives you a 50% discount on your next meal once you get 18 stamps (each stamp is worth $10). As always, I am a big supporter of 'food with passion', and TomTon belongs to that category.